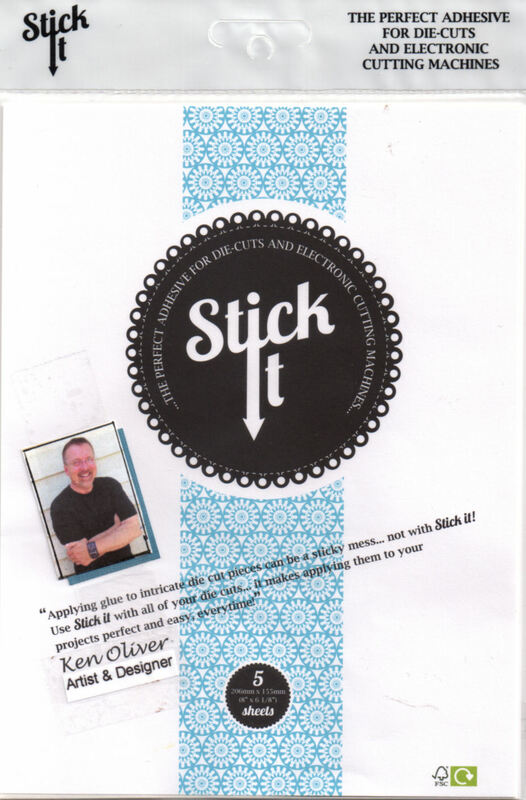 Ken's World in Progress: Stick It, The New Adhesive with the Funny Name...Here's How it Works! 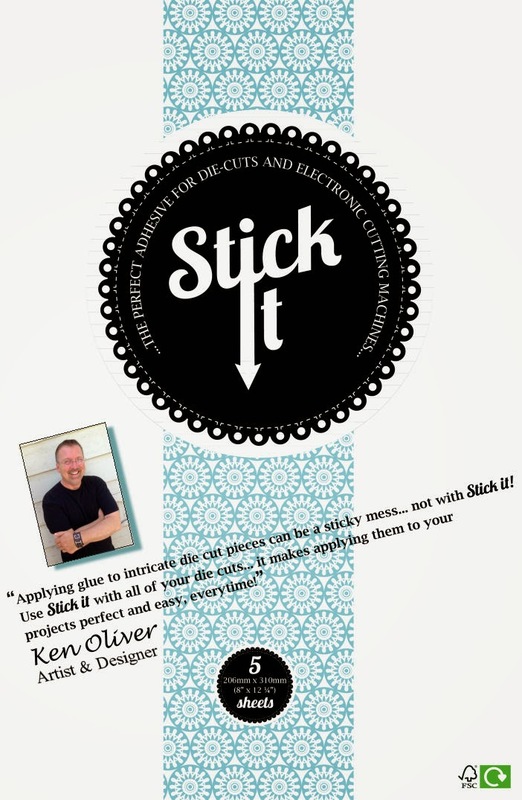 Stick It, The New Adhesive with the Funny Name...Here's How it Works! You may have heard of Stick It...it's a new adhesive that I've been working on...and I've got to tell you it's really cool. Stick It, is a micro-thin adhesive sheet, that is specially formulated for die cutting. It's perfect for thin metal dies, platform dies, it works with any machine (or punch) that you already have, AND, you can use it with your electronic die cutting system too! It's amazing. So, I wanted to test it with one of the most intricate dies I could find. 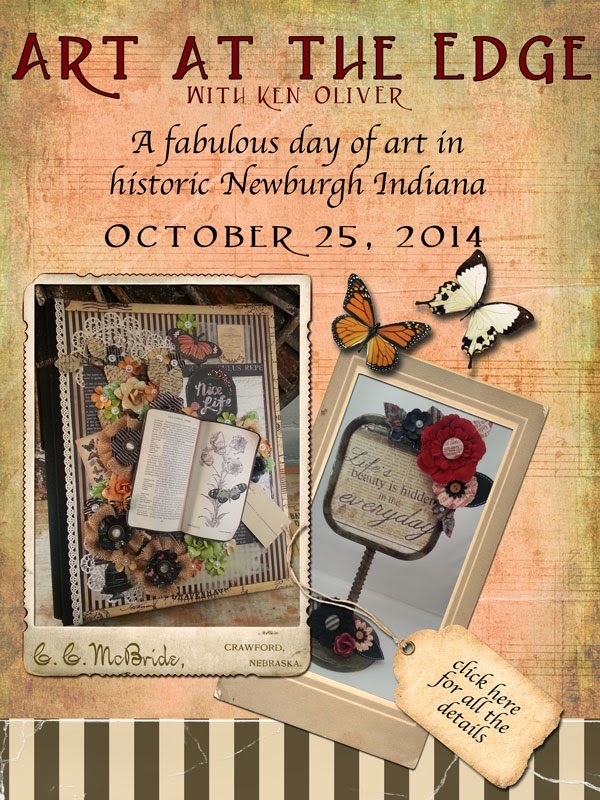 I selected a new die from Tonic Studios called Dragonfly Delight. This die has every feature of an intricate die that you love, but that can also make gluing to card stock a challenging proposition...for me, all the swirls, flourishes, and beautiful lattice cuts are a little tricky when applying adhesive. And, invariably I either get too much glue on one area, and none on another. Stick It, let's you glue an intricately die cut piece of paper, easily and quickly. There's no more muss and fuss like with glue pens or liquid glue...and there's no adhesive residue. It's the perfect solution. I created a simple card just to demonstrate how beautifully Stick It really works. 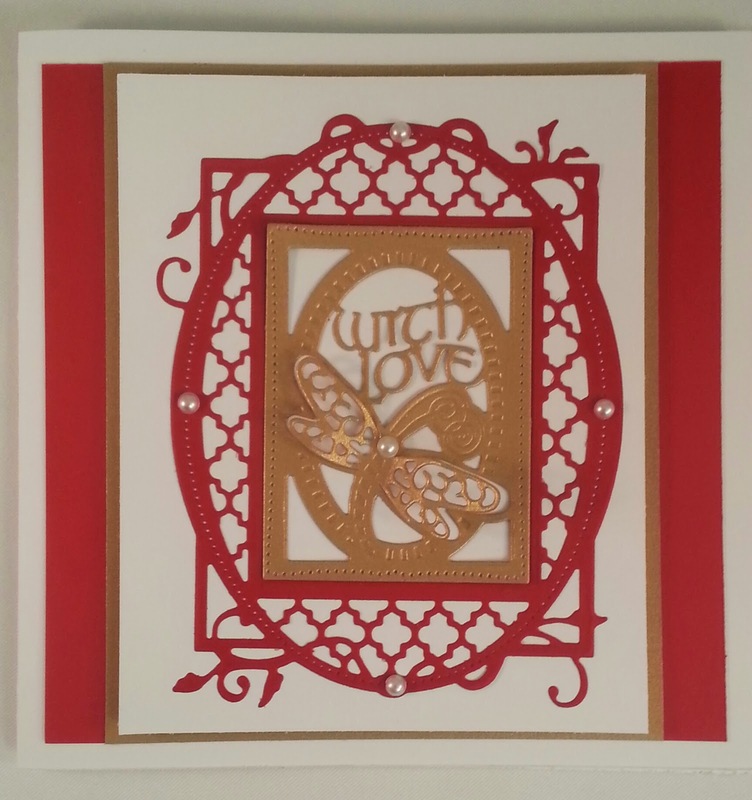 Each swirl, every flourish, every single piece of that wonderful lattice is glued perfectly in place. This is the first adhesive sheet that's been specially formulated just for intricate die cut paper. Stick It is acid free, archival, water-based and FSC certified, so you know it's green, safe and non-toxic. Now, it's only been on the market for about 1 week in the U.K. and just started shipping in the US today...It's available for wholesale exclusively at Product Performers in the US...and at Craft Obsessions in the UK. It's shipping out this week to retail shops and online retailers. Ask for it at your local scrapbook store. I am telling you, this is going to change the way you make cards! Here's another little bit of awesome sauce...there's a free pack of Stick It for every guest who's coming to Art at the Edge on October 25th...I've had a special shipment from the UK sent directly to me just for everybody who'll be at Art at the Edge with me! Hi Bridget...hopefully soon...I think you're going to love this product! Thank you for letting us know Astrid...I can't wait to hear what you have to say about Stick It...it's really marvelous! Looking forward to receiving mine, Ken.